At US Anodizing, we provide the highest quality service for the best price! We can do this by focusing our expertise on anodizing and refinishing primarily firearms and related components. The price list below is for used firearms and components sent to US Anodizing for refinishing. If you are a Manufacturer or R&D with new parts needing anodizing, please contact victor@usanodizing.com for more information, custom services, and production pricing. We are a Federal Firearms License (07 FFL/02 SOT) manufacturer. During the past few years, we have developed other colors that are now available in Type III Anodizing. The coloirs listed below are only available on production parts. Magpul FDE, Daniel Defense FDE, LWRC MRE, Knights (KAC) SOCOM, and many other colors and shades. If you do not see it, please ask we may have it. We are now offering Xtremcoat arsenal re-finishing, in new black anodize shade and other Military colors. Same coating we use on US Govt. DOD parts, looks and feels like anodizing and will not chip like paint. You may select an individual service or combination of services. PARTS OR COMPONENT: The price listed is for bare parts only. Disassembly or Assemblty requires an additional cost (POR). Price listed include cleaning, chemical stripping, light bead blasting (if required) and refinishing. Parts sent with a top coating paint/epoxy, will require an additional labor charge per part. Shipping and insurance costs are NOT included. See check list below. FIREARMS: The price for a complete firearm (AR/M16 Only) will include disassembly, cleaning, chemical stripping, blasting if required, refinishing, and reassembly (POR). Shipping and insurance costs, are NOT included. We can also provide you pricing on custom finishes for a wide range of metal products, and specialty weapons. Please contact us at info@usanodizing.com if you would like a custom quote. US NAVY SERVICE: This service is available to complete firearms or components. It is intended for any firearm subjected to extreme conditions. A "must" for Military or Law Enforcement applications! All parts will be Anodized or Phosphate coated. (Mil Spec). All parts will be top coated with our Xtremcoat (Ceramic/Moly/Teflon). Friction contact surfaces will be coated with Xtremcoat (Dry Film Lube). Parts exposed to high heat will be coated with Xtremcoat (Heat Barrier). These coatings, meet Military requirements for saltwater exposure. Test conducted for 500-hour salt spray (5% salt), the equivalent of a seven-year exposure. The same coatings are used on US Navy, Special Operation (SEAL) weapon systems! CHECK LIST: In order for us to provide the services you expect, we ask that you send us the following with your parts or firearm shipment. A note detailing the services you are requesting - Type of finish, color, texture, and any other information needed to complete your work. Parts list - Please list or itemize the parts in the note. This is very important when sending small parts. If sending a pistol frame or receiver - Please list the manufacturer, model, caliber, and serial number. It is very important to list this on your paper work. Payment for services - Please send a check or money order with your package. Make all payments payable to US Anodizing, Inc. Sorry, no credit card payments! Payment for shipping and insurance - Please add the same amount it cost you to ship it to us, and let us know what you insured it for. Better yet, you can include a prepaid shipping label with your parts. Please do not send less for the return shipping, or it may cause a delay in shipping it back. If an NFA firearm, please include a copy of your existing BATF Form with your package. We want for you to be happy and pleased with our services. Our goal is to complete your project as requested, and ship it back to you within a reasonable time. Our turn around time for non production parts is running from 3-6 weeks from the day we receive the package. Note, a single receiver can be completed much faster than a mixture of different parts! Please do not forget to send all of the items listed above with your package to prevent delays. COLORS AND TEXTURE: Colors for Type III Anodizing and Phosphate are limited, primarily due to the nature of the process. However, for Type II Anodizing and Xtremcoat you have a much wider selection. Click here to view color samples. For texture you have the option of a Flat, Satin, or Gloss finish. In most cases, the type of firearm and metal type will determine the correct texture. You can specify a texture or let us determine the best texture for your parts. PAYMENT: Please send a check or money order with your parts, or firearm shipment. Please do not forget to add the cost for return shipping, as well as the items requested on the Check List above. If paying with a personal or corporate check, the return shipping may be delayed until your check clears our bank. SHIPPING AND INSURANCE: Shipping and insurance costs are not included in our pricing. You are responsible for the initial shipping and insurance costs, so that your items arrive at US Anodizing safely. Please include the same amount of shipping and insurance that it cost you to ship to us for the return shipping. 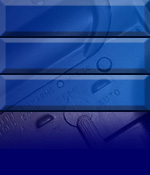 FIREARMS AND RECEIVERS: Your firearm or receiver can be sent directly to us for finishing. We are a Federal Firearms License (07 FFL/02 SOT) manufacturer. You can legally ship your firearm or receiver directly to us and we will ship it back to you. The same rules apply for (NFA) firearms. Please attach a copy of your existing BATF Form with your firearm shipment. DEALERS (FFL OR SOT): For our records, please mail us a copy of your FFL or SOT, when you send your firearm. We will return a copy of ours for your records, when the finished firearm is sent back to you. If you need a copy prior to return shipping, you can request one and we will mail or fax you a copy. For Do It Yourself coatings and supplies, please check out our product section. Copyright © 2005 US Anodizing, Inc. All Rights Reserved. All trademarks and brands are property of their respective owners. All military images courtesy of Department of Defense.